Our second meeting at our new venue started with the formal induction of 2 of our newest Voyagers, Maria F and Simon V. Welcome aboard, Maria and Simon! Voyagers has also transitioned over to the new easy-Speak Toastmaster Automation software since our old software broke and is no longer supported. easy-Speak is used to set meeting roles, make meeting agendas and email other club members . Voyagers must log into the easy-Speak website to confirm their roles for each meeting; otherwise a question mark will appear next to their name in the agenda. One feature of easy-Speak is that speakers must schedule their own speeches; they are not randomly assigned like other meeting roles. Please contact Vice President of Education, John W for more information about getting started with easy-Speak. Save the Date! Voyagers will hold a special membership drive meeting on Thursday March 23. There will be ads for this meeting in the local media as well as flyers printed. Please let people know about this event, and bring your friends! If you can post flyers in locations that allow community event flyers, like cafes, stores, libraries, community centers, laundromats, etc. 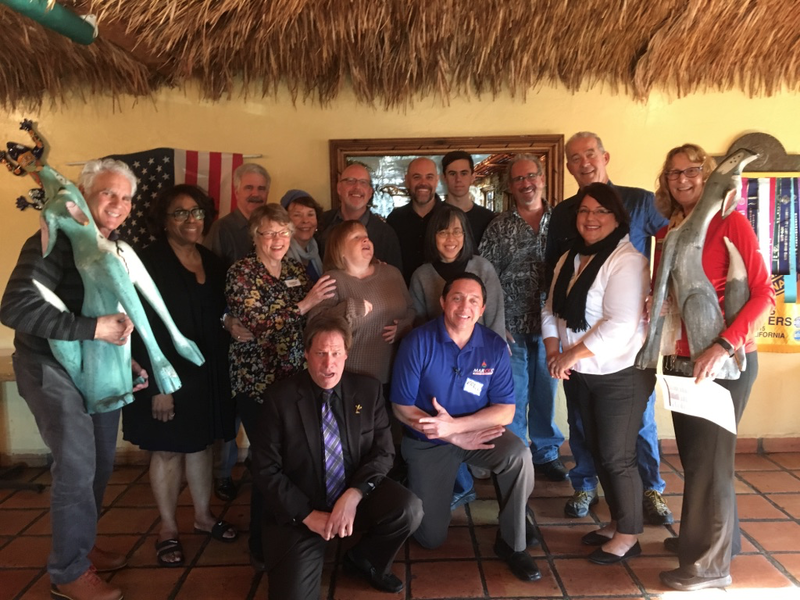 please contact Vice President of Membership, Jerry M. Generally it is easier to get permission to post flyers for 501(c)(3) non-profit educational organizations such as Voyagers Toastmasters, which teaches public speaking and leadership skills. Voyagers first meeting at the Friendship Hall in Hillcrest was a success! Members found the venue with no problems, and the room was ready for us. Thank you, University Christian Church for your hospitality! We need a new photo for Facebook, Meetup and website! If you have a photo to contribute, please contact any of the Board members. The club met upstairs at the Coyote Cafe. We will be meeting here again next Thursday 2/9, while the club officers finalize our next venue. The finalists are Country Waffle at 2323 Midway Drive on the other side of the I-5 freeway; and the Friendship Hall located at 3900 Cleveland Avenue in Hillcrest. The search was detailed in Cynthia P’s report, which featured an interactive Google map of the venues under consideration.